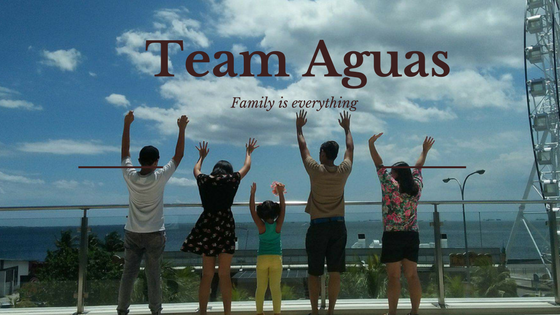 #TeamAguas: Have a White Glo experience! Have a White Glo experience! Are you ready for the new brushing revolution for the whitest, brightest and healthiest oral care? 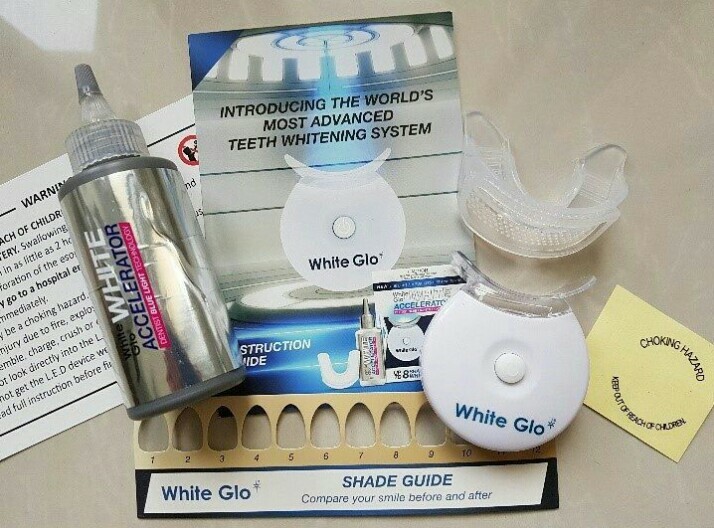 The world's most advanced teeth whitening range is now available in the Philippines. Brushing our teeth is an essential part of our beauty routine. Here's the different White Glo products that will suit your dental needs. This whitening system incorporated advanced technology used by dentists around the world to deliver their patients with the best teeth whitening results. 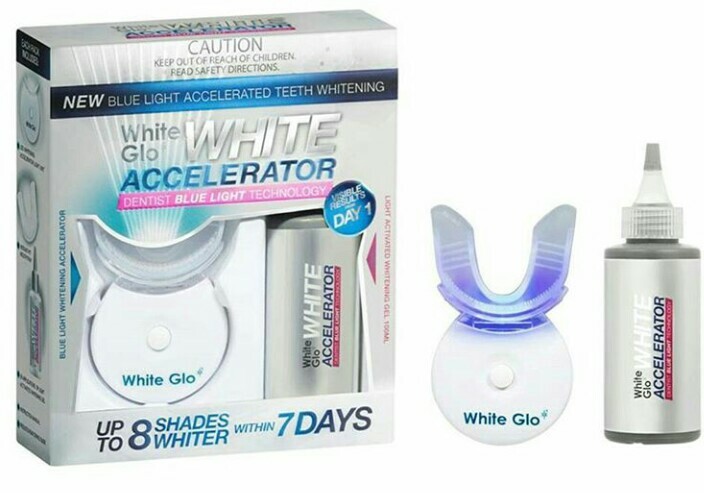 The Blue Light Technology light spectrum is able to help activate ingredients in the White Glo teeth whitening gel. Together the whitening gel and blue light spectrum is able to penetrate the areas on the tooth enamel with stains or discoloration by lifting and converting these into colories oxygen particles. After the treatment your teeth will appear whiter. It guaranteed to provide the best teeth whitening results possible. 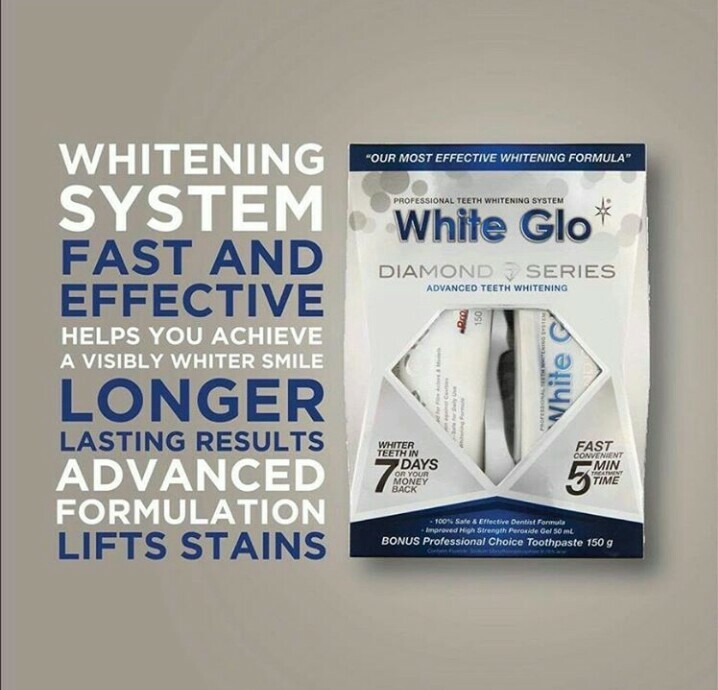 The revolutionary, fast and effective whitening formula provides not only amazing white teeth but also longer lasting results. It's formulated with the same ingredients dentists use in clinics to achieve fast effective result for a smile that shines bright like a diamond. Developed to provide fast and convenient results with treatment times from just 5 minutes. 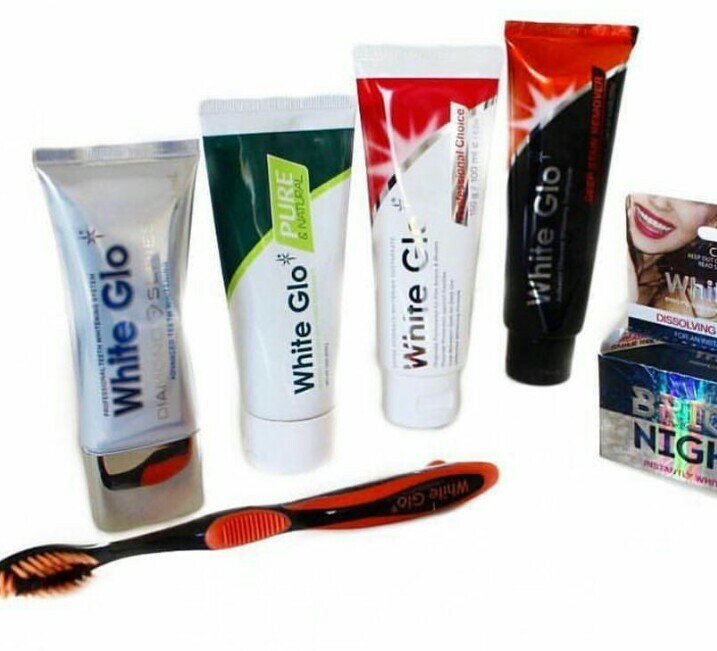 Each pack comes with a FREE full sixe White Glo Professional Choice Toothpaste. Whiter Teeth improves confidence and makes you look younger and more attractive. Over time teeth become stained from smoking, coffee, red wine and simply from the natural aging process. The whitening pen allows you to whiten your teeth whenever and wherever you want. This exclusive Diamond Series teeth whitening product contains two products: Diamond White Whitening Toothpaste and the FREE Smart Plaque seeker tablet. Combined, this is a new brushing revolution for the whitest, brightest and healthiest oral care. 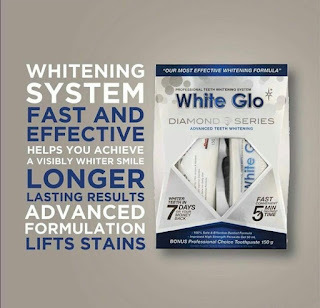 Beyond whitening only, Diamond White Toothpaste systematically removes and prevents plaque and cavities. This revolutionary toothpaste will provide the best in appearance and health for your smile. The FREE chewable plaque seeker tablet will identify all areas on your teeth that hold hidden plaque and stains. It allows you to brush better in those areas to reveal an even better smile. 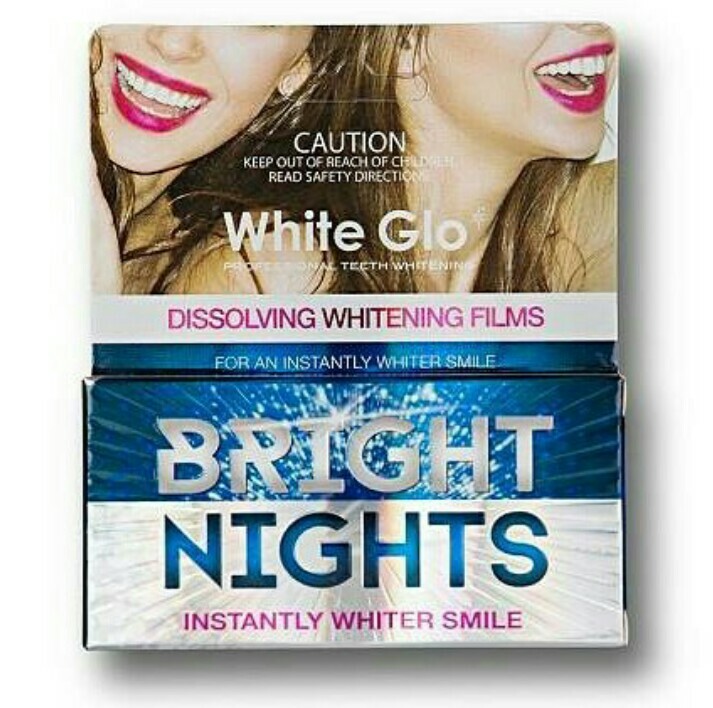 These dissolving whitening films are the simplest way to whiten your teeth, giving your smile an instant whitening "top-up" bu up to a shade or more. They have been exclusively designed and formulated to be used when you need a whitening boost such as prior to arriving at a party, work function or social event. The White Glo Whitening and Enamel Protection Mouthwash help to reduce bacteria that causes bad breath, and promotes beautiful teeth and healthy gums. Use daily for a fresher breath and whiter teeth. Fluoride enriched to strengthen teeth enamel. Prevents stains from forming. Kill germs that caused bad breath. Alcohol free formula. Keeps breath fresher. Dentist clean feeling. Reduce plaque. 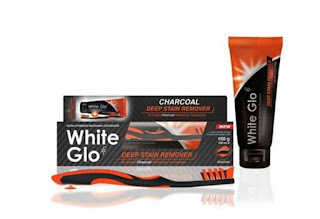 Stains, discoloration and bacteria are attracted to the highly absorbent charcoal particles. Removes stains caused by coffee and tea consumption over time. Fluoride protection, suitable for daily use. Australia's rated no. 1 whitening products are now available at Watsons (MOA), Landmark, Royal Duty Free, Puregold Duty Free and Anchorway. Vivo to bring the house down this March 22! Be a Shopwise Home Wise Mom!